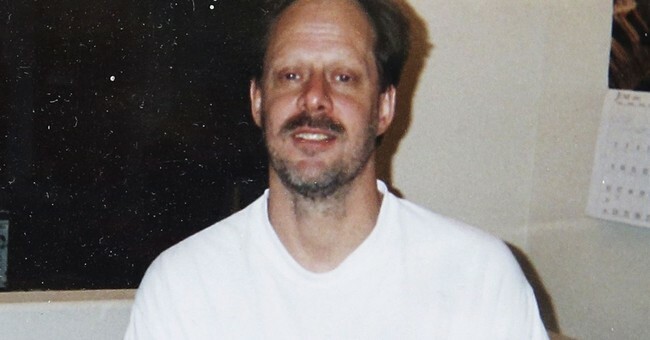 Las Vegas shooter Stephen Paddock killed himself after Mandalay Bay security guard Jesus Campos zeroed in on his room, attempting to stop Paddock’s killing spree, but suicide wasn’t his plan all along, according to police. Las Vegas police said Wednesday that they have evidence to suggest Paddock planned to live and was going to try to escape after the attack, but they could not provide details about that evidence to the public just yet. Firing down from the 32nd floor of the Mandalay Bay Resort and Casino, Paddock killed at least 59 individuals and injured hundreds of others before turning the gun on himself. Police also said during Wednesday's news conference that there was no suicide note as some had suspected when photos from Paddock’s room were released that showed what appeared to be a pen and a paper on a table. As Christine reported, police also believe Paddock lived a secret life. “What we know is Stephen Paddock is a man who spent decades acquiring weapons and ammo and living a secret life, much of which will never be fully understood,” said Clark County Sheriff Joseph Lombardo. Police confirmed that Paddock rented a room at the Ogden Hotel in downtown Las Vegas, Nev., at the same time of the “Life is Beautiful” festival, which took place in late September. But it is not exactly clear why he was there. Police said they recovered items and video footage from the hotel while Paddock was there and plan to review it. With the help of video surveillance from the concert venue, police determined that the incident began at 10:05 p.m. when the first shot was fired and ended approximately 10 minutes later with the last shot fired. Paddock had several surveillance cameras set up in various locations in his room and in the hotel hallway but none of them were actually recording. Police said he had two set up on a room service cart in the hallway, one set up on the peep hole of his door, and a baby monitor camera set up in the living space of his hotel room. Police still do not have a motive for the mass shooting, which was the largest in U.S. history.